Blasphemy cases are not yet stopped in Pakistan, especially in the Province of Punjab. 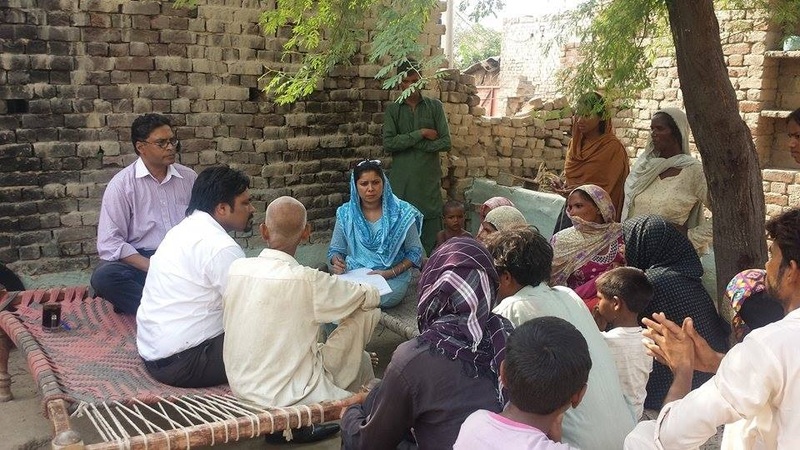 FIR # 195/15 registered under the offence of 295-C against Christian man named Pervaiz Masih (30) in a village of Gharray Wala, District Kasur. On September 02, 2015 Mr. M.A. Joseph Francis, MBE, National Director CLAAS, came across this particular incident by Mr. Akhtar Masih Sindhu, CLAAS Lawyer that Pervaiz Masih has been arrested under the allegations of committing blasphemy by using derogatory remarks (God forbid) on September 2, 2015. On September 04, 2015 CLAAS team including Sohail Habel, Saddique John and Shagufta Nazir reached the place to collect the real facts. This illiterate couple, Pervaiz and his wife worked at a brick kiln and associated in soil and sand business as part time work. The couple has four children Amir 9, Prem 8, Anmol 3 and Sanam 2. According to the facts he was arrested after his business rival Muhammad Kahlid lodged a FIR (195/15 under section 295-C PPC) against him. 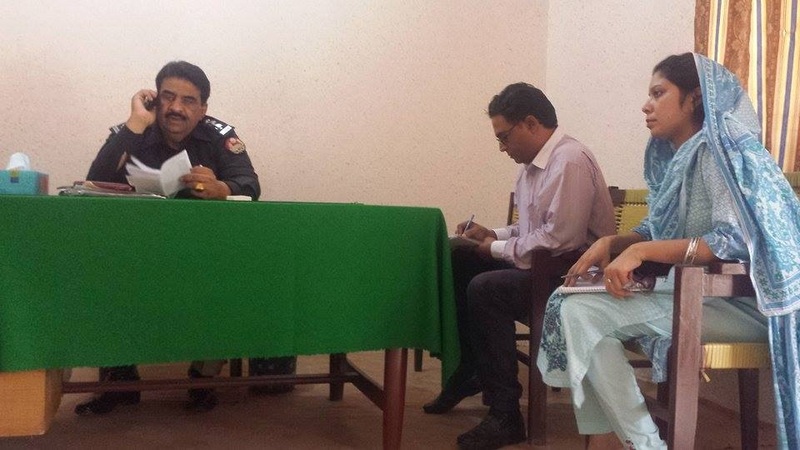 SHO Syed Ali Hussain Shah shared that beside all the odds, local police tried its best to resolve the issue at the community level. As Pervaiz fled away from his house, police detained four relatives of him, Shamoun, Dil Awaiz, Karamat and Goga. 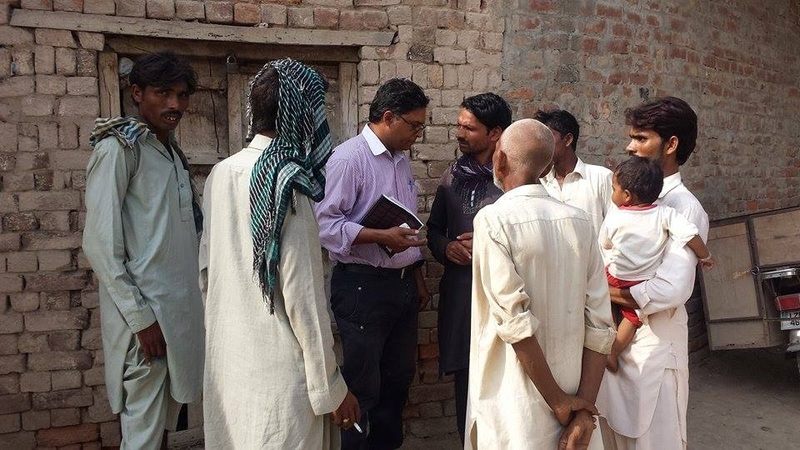 The local police further expanded its raid jointly with Khadiyan Wala police at village Veerum Athar where Pervaiz moved with his father-in-law Amanat Masih about two weeks prior, for he was aware of the consequences of blasphemy allegations. 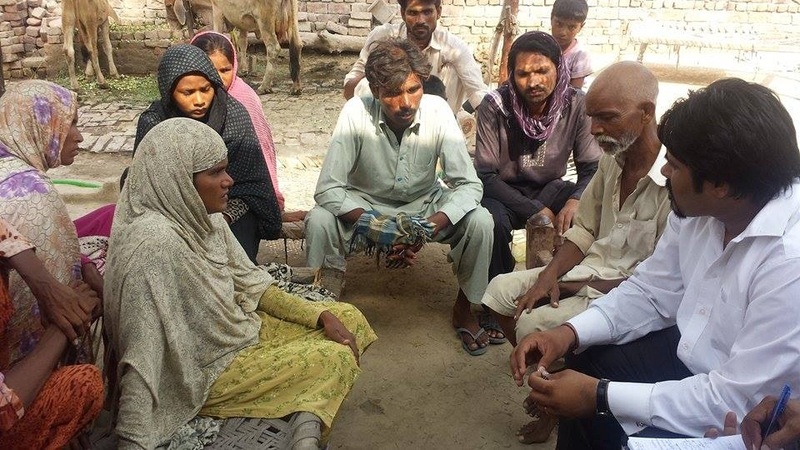 Mr. Nadeem Masih, a village representative shared that in the absence of Pervaiz, police dragged Zarina, wife of Pervaiz in the streets, torn off her clothes while asking for her husband’s whereabouts. Amanat Masih was also depressed and sacred about this situation when CLAAS team visited him. A local NGO took away Zarina and her children for a couple of days for security purposes. Finally Pervaiz surrendered himself on September 2, 2015, his four relatives were released by the local police and Pervaiz was immediately sent to judicial lock-up at District Jail Kasur for security reasons. The Team learnt that Pervaiz had a disagreement over the payments owing to him, instead paying him he had to face blasphemy accusations by the influential Muhammad Khalid. Blasphemy Law has turned into a tool for revenge and settlement of personal dispute. Now situation is under controlled and police is alert to cope with any unfavorable circumstances. CLAAS team has not received security clearance to visit the village but SHO police assured the security of Christians in village. Gharray Wala village is situated at the outer lane of the city of Kasur in a radius of fifty kilometers. This place has 15-20 Christian families living among Muslims as majority far beyond the inception of Pakistan. Most of the Christian families are illiterate and work as laborer or farmers.